Social media marketing services are the ‘hottest’ of all promo tools that small and medium businesses can use today. There are millions of users on each of the most active networks: Facebook, Instagram, Twitter, and YouTube. This means there are millions of potential customers that can see your ads every day. All you need to do is to use the targeting and advertising options offered by the networks in a strategic way. Social media is the rock in the digital marketing world. 90% of the industry pros state that their efforts in this field have boosted their business exposure. It’s known today that 64% of all marketers use social media for 6+ hours every week and 19% actually spend over 20 hours of their time weekly. Any SMB can be on par with the industry leaders here as social media marketing tools are affordable and available to all. In fact, smaller companies might even have a better chance of capturing their audience’s attention. They can build up a brand identity through these channels and generate a startlingly loyal customer base. According to the Pew Research Center study about 75% of male and 83% of female internet users in the US are registered on Facebook. The popularity of this social network in other countries varies quite a bit. From Iceland, where 100% of the population have an account to places where the network is completely blocked (hello, China!). The global stats show that about 22% of the world’s population use Facebook. No small or medium business can afford to miss out on such a massive customer base. This means utilizing local social media marketing services is critical for any SMB to reach their preferred customer base to ensure they succeed online. You chose them yourself using the targeting tools provided by the network. You search for matches to your ‘perfect customer’ profile. You upload their contacts manually or by integrating them from your other databases. Check out this infographic for a detailed list of all Facebook targeting options. Set up a custom audience first before moving to the lookalike. If you are just starting to get the hang of social media marketing services and targeting on Facebook, you should build up a custom audience first. Let this run for a few months and analyze the data you get. This will allow you to develop the ultimate customer profile, which you can use for a lookalike search. Trying to build up a lookalike audience alongside the custom one might waste your time and resources until you have a solid read on performance of your initial custom audience test. Analyze the users’ buying behaviors. The insight Facebook has into their users is downright scary at times. They use so many behavior monitoring and analysis tools that they can say which of their users buys what, when, and for what purpose. If you are in retail, their Buyer Profiles packages and targeting behaviors for specific industries (Food, Health & Beauty, etc.) are the best. Facebook’s social media marketing services are so great that they can be customized to the extreme. In essence, you can use the targeting in several layers, narrowing down the customer group with each choice. To use it in real life try this approach. Say, you are a retailer specializing in teen party dresses, target age and family income first. Then look at life events to determine who actually has a party coming. Then, look into their interests to see the best way to word your ad. You can try ‘hot summer dresses for hot summer parties’ or ‘stun the peers at prom with our stunning dresses’. 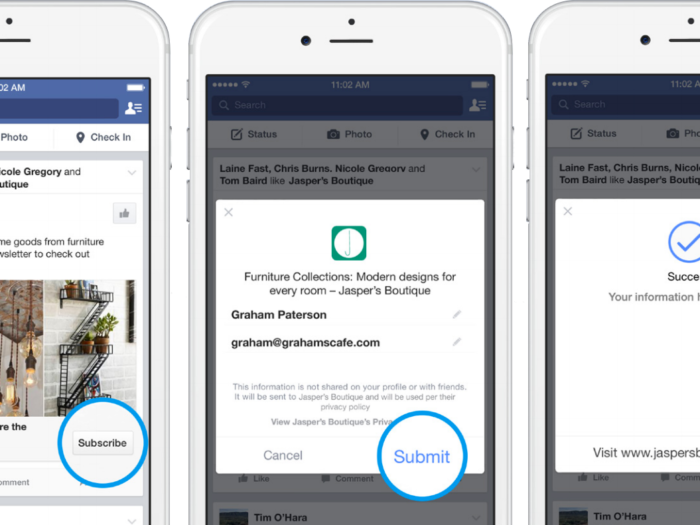 Check out this fun story of how Facebook targeting & social media marketing services can be taken to the extreme. Try to come up with all applications of your services/products and go from there. For example, a moving company should look for status updates on buying new homes or changing jobs. Wedding services should look for people celebrating anniversaries or engagements. This is pretty straight forward and easy to target. Exclude customer groups when appropriate. Sometimes you need to use targeting to actually cut out some audiences. This option will be most useful when customizing targeting options for your campaigns. For example, if you launch a free trial, your old and loyal clients really don’t need it. They also won’t appreciate this ad ‘spamming’ their newsfeed. Be sure to exclude them from your ‘first look’ campaign and target your other ads towards them. This would also save you a ton of money. YouTube has over a billion active users and offers social media marketing services that can help any small and medium business soar. The trick is to use YouTube ads wisely and target them very specifically. You also must ensure the quality of your video ad is top notch, especially for the in-stream clips. Making any mistakes here can generate lots of ‘anti-goodwill’ because your ads will be spamming their videos and ruining viewership enjoyment. Not using YouTube ads isn’t an option if you really want to boost your digital marketing. In US alone this video social network reaches more people 18-49 years of age than cable. Small and medium businesses are less active on YouTube. Probably, because the cost of a quality video ad is rather high. However, this means you have a great chance to use the network’s power with little competition in your niche. This investment will definitely pay off, especially if your targeted audience are millennials. They account for 2/3 of all YouTube premium video watching. These turn up as related or suggested videos when the visitor opens any YouTube page. These ads run before or in the middle of the video the user is watching. Approach them with extreme caution as you wouldn’t want to annoy your potential buyers. Any type of video ad you choose must contain a clear call to action and be able to grab the viewer’s attention in less than 5 seconds. Use overlaying texts for CTAs and be sure to offer the Skip Ad option on your longer in-stream videos. YouTube targeting options are very customizable and powered by Google’s immense databases. 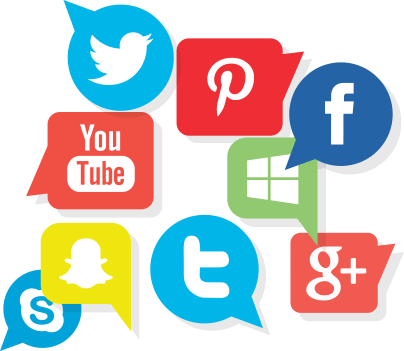 This means that you can use these social media marketing services with extreme efficiency if you take your time to research your audience. YouTube remarketing opportunities are remarkable and any small & medium sized business should use them. Remarketing allows you to increase your reach greatly and reconnect with the customers already interested in your business. In essence, remarketing is a bit like cyberstalking, just legal and not as creepy. However, the principle is the same. You follow your website’s visitors using a variety of complex protocols and make sure they see your ads on YouTube. Remarketing to this specific network is a great idea because you get a chance to show customers a video instead of a short text. To set up your YouTube remarketing you’ll need to either create or choose one of your existing video AdWords campaigns. Then set up the actual remarketing list by clicking Targets à Show More Criteria à Add Remarketing Lists. From there on, it’s all about following the instructions and choosing your targeting options. The most important thing that will determine the success rate of your YouTube campaign is the video ad itself. Go for the type of content that looks natural and makes viewers emphasize. The ad will work best if your potential buyers can identify with the situation. YouTube is all about live videos, and that’s the feel your ads should have. Clash of Clans Revenge Super Bowl ad surely is an inspiration to all of us in this. Never forget that using social media marketing services can backfire tremendously. Make sure your video contains elements of emotion to provoke an emotional response in your viewers in a form of an emotional response. This also means it’s better to be low-key than to annoy your customers by accident. 23% of all adult internet users use Twitter and 81% of millennials check their accounts daily. Incorporating Twitter social media marketing services into your strategy can boost it greatly if you target urban adults. It’s a rather simple media channel to use, but it must be very active to remain effective. For small and medium businesses this means using scheduling tools or hiring a marketing agency to keep their Twitter alive. You’ll have to do this until you get a chance to hire a full-time expert who will handle nothing but your social media marketing. However, outsourcing this service is so cost-effective, you might find better use for your increased profits. One of the best social media marketing services offered by this network are Twitter Cards. They are literally made for brand enhancement, so be sure to use them whenever you can. Depending on the type, your card can contain a thumbnail + description, the same + image, direct video/audio content, or a link to a direct app download. As you might have surmised, the best thing about these cards is that they allow users to see and interact with your content without actually leaving Twitter. This boosts convenience greatly, so your followers would appreciate it. The customization opportunities of the cards also allow you to brand them. With every mention of your business followed by a standard card, this tool is perfect for promoting brand identity. Today there are also other types of cards that help you increase website signups, generate leads, etc. Check out the Twitter Ads Dashboard to learn what exactly this network offers. To use these ads you’ll either have to add some HTML code yourself or use a specialized plugin, like JM Twitter Cards. The first thing to do if you want to make the most of the Twitter social media marketing services is to follow the network’s own instructions. This way you’ll learn the basic tweet promotion techniques designed by developers. Not using more than three hashtags per tweet. Use the 80/20 rule with 20% promoting your business and 80% useful shareable content. Promote your Twitter profile on your other social media channels. Engage niche influences in your social media marketing campaign. Join online communities that share your interests and cross-promote each other (examples BizSugar and DoSplash). Don’t forget the most important rule of social media marketing services: offer great value. For this marketing to work people must share your content so it must be good enough to share. Always ask yourself ‘what value can one get from this?’ before publishing your posts. A Pew Research Center study indicates that about 32% of teens prioritize Instagram as their #1 social network. Another demographics survey states that the vast majority of Instagram users are between 18 and 29 years of age. If these are your targeted groups, a small or medium sized business simply must launch a great Instagram campaign. 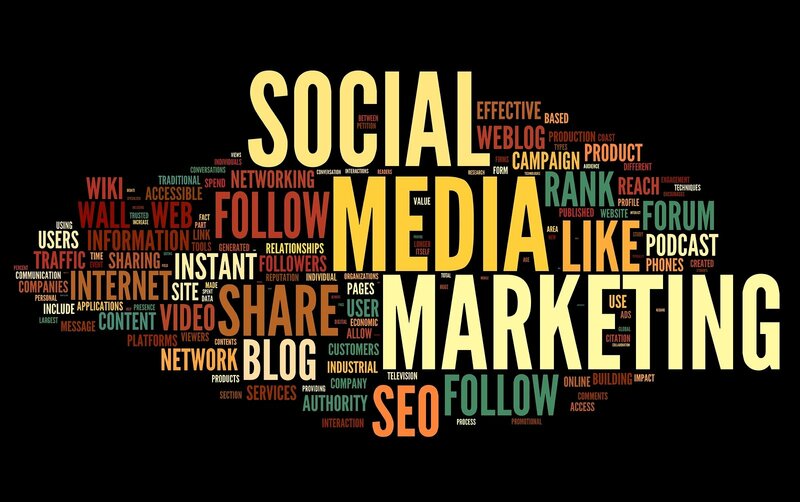 Luckily, the network offers a wide range of social media marketing services that you can use to promote any business. Due to the visual nature of the network, it’s a perfect place for brand-building. You can also share ‘behind the scenes’ photos and short videos to ‘humanize’ the business to customers. The main decision you’ll have to make when deciding the course of your Instagram campaign is the focus of your content. If you have an exciting product/service, the account can be centered on them. This will mean posting manuals, videos, and pictures of the product itself or its applications in real life. If you sell something ‘mundane’ or a service that is hard to visualize, like consulting, you can focus the content on the business. In this way, you’ll be promoting your company culture and thus attracting loyal followers who identify with it. This approach is great for enhancing loyalty in particular. This means that you should make an occasional post like that even on a product-centric channel. Instagram continues to grow and attract more users with every passing year. It also keeps introducing new features that boost its social media marketing services. The matter of accepting cultural, sexual, and ethnical diversity is very relevant today. Airbnb did a great job of promoting this idea through their #WeAccept It generated tons of goodwill and respect for the brand. John Mayer pushed the Instagram Live feature to its limits when promoting his latest release The Search for Everything. He proved that this feature allows for effective follower engagement. It also proves that your business is accessible and ready to interact with customers. Ryu with their #whatsinyourbag campaign show the world how to use Instagram Stories and clever promotions ideas together. The retailer launched the campaign to promote a variety of its products by initiating a contest among buyers. The contest was simple and called for sharing the campaign’s hashtag. Ryu did have a variety of promo posts on their account but it’s the Stories that really made a difference for this campaign. Due to the fact that they pop up at the very top of the screen, they ensured that people don’t forget about the promo. This high level of visibility is what makes Stories one of the most effective Instagram social media marketing services. If you are a small business, this might be hard as you are only growing your customer base. However, medium companies with established clients should have an easier time including user-generated content. The type of content depends completely on your business specialization. For example, a drone manufacturer DJI partners with Instagram filmmakers using their drones for making short clips and sharing them through Instagram. Launch something like this that will encourage your clients to show off how they are using your products. Harnessing the power of social media marketing services is vital for any small and medium sized business. Not only are these networks great ‘hunting grounds’ for prospective customers but they are also cheap. Billions of people use their social media accounts every day, so you have a tangible chance to reach them. Facebook, Twitter, Instagram, and YouTube are the most popular networks today and each offers a wide range of targeting features. 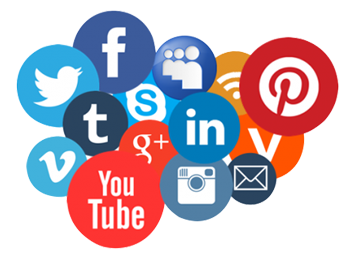 They also allow you to implement various social media marketing services that can be tailored to your business. All in all, using these media cleverly is a sure road to a marketing success!